behavioral design – Life moves pretty fast. Something in all of us wants to believe that big tech companies, the ones we provide with reams of personal data everyday, are doing something noble with that information. That’s what made Google’s flu tracker, Flu Trends, so appealing. Here’s Google, taking time out of its busy day of selling our data for profit to apply those millions of Google searches and location trackers to something useful for humanity: Tracking the spread and severity of flu outbreaks across the United States. There’s only one problem: Flu Trends is wrong. “Reason is, and ought only to be the slave of the passions, and can never pretend to any other office than to serve and obey them.” That’s the 18th-century philosopher David Hume. I agree. I love my instincts — and, the more I read about decision science, the more sceptical I become about reasoned judgements. In business, I find, there are two kinds of decisions — good decisions and decisions that are easy to explain and defend. They are not the same. The use of reason massively weights people towards the second type. Unfortunately, the need to explain or defend a course of action may lead to a worse decision, because our natural instinct for arse-covering requires that we must then base our decision only on those few factors accessible to measurement or to numerical expression. What makes a song unforgettable (for good or for bad)? In the winter of 1900, six-year-old Nicolas Slonimsky was introduced to the world of popular Russian ditties. “Little bird, what did you do? I drank vodka, so did you,” he would warble to enchanted relatives. Isabelle Vengerova, his aunt, who was a famous teacher at the St. Petersburg Conservatory, discovered earlier that year that he possessed perfect pitch, and began giving him lessons. She believed that he was destined for musical greatness. Although Slonimsky’s career as a musical prodigy never quite materialized, his early singing days made a lasting impression: Slonimsky was one of the first composers to explicitly decipher what made certain tunes irresistible. In the twenties, Oliver Sacks writes in “Musicophilia,” Slonimsky began creating musical patterns designed to “hook the mind and force it to mimicry and repetition.” In 1947, Slonimsky’s insights were released as a book, “Thesaurus of Scales and Melodic Patterns,” which would go on to become an important musical influence for composers from John Coltrane to Frank Zappa. Read the whole fascinating piece here. 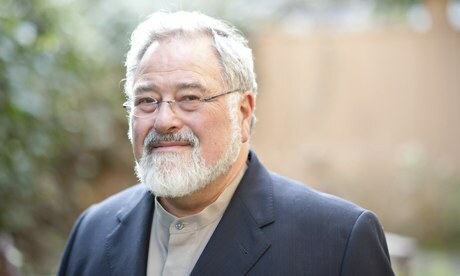 Lakoff is affable and generous. In public meetings he greets every question with: “That is an extremely good question.” But he cannot keep the frustration out of his voice: the left, he argues, is losing the political argument – every year, it cedes more ground to the right, under the mistaken impression that this will bring everything closer to the centre. In fact, there is no centre: the more progressives capitulate, the more boldly the conservatives express their vision, and the further to the right the mainstream moves. The reason is that conservatives speak from an authentic moral position, and appeal to voters’ values. Liberals try to argue against them using evidence; they are embarrassed by emotionality. They think that if you can just demonstrate to voters how their self-interest is served by a socially egalitarian position, that will work, and everyone will vote for them and the debate will be over. In fact, Lakoff asserts, voters don’t vote for bald self-interest; self-interest fails to ignite, it inspires nothing – progressives, of all people, ought to understand this.